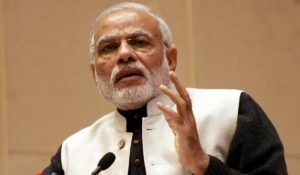 Indian Prime Minister Narendra Modi congratulates the crew and team behind the project to enable India to join an elite defence club. 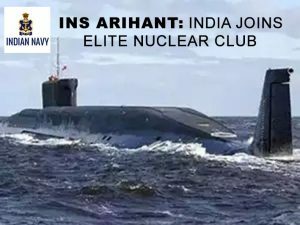 INS Arihant, India’s first Strategic Strike Nuclear Submarine (SSBN), is fully operational now and it puts India along with US, Russia, China, UK and France. Arihant (“Slayer of Enemies”) is the lead ship of India’s Arihant class of nuclear-powered ballistic missile submarines. The 6,000 tonne vessel was built under the Advanced Technology Vessel (ATV) project at the Ship Building Centre in the port city of Visakhapatnam. It was launched on 26 July 2009, the anniversary of Vijay Diwas (Kargil War Victory Day) by then Prime Minister of India, Dr Manmohan Singh. After fitting out and extensive sea trials, on 23 February 2016, she was confirmed as ready for operations and was commissioned in August 2016. Stressing the significance of the successful deployment of INS Arihant for the completion of India’s nuclear triad, Prime Minister Modi congratulated the crew and all involved in the achievement which puts India among a handful of countries having the capability to design, construct and operate SSBNs. INS Arihant underwent extensive sea and weapons trials. On 25th November 2015 it successfully test-fired dummy B5 missile, on 31st March 2016 K4 missile and was commissioned in August 2016. As the country celebrates Diwali, the prime minister expressed the hope that just as light dispels darkness and all fear, INS Arihant will be harbinger of fearlessness for the country. The addition of survivable nuclear triad INDA Arihant will put India ahead of its nuclear neighbours. The new addition to the Indian Navy sent a strong message to neighbouring Pakistan which has been nuclear blackmailing India for quite some time. As a strong democracy with credible institutions, India has put in place a robust nuclear command and control structure under its Nuclear Command Authority. It remains committed to the doctrine of Credible Minimum Deterrence and No First Use, as enshrined in the decision taken by the Cabinet Committee on Security in its meeting chaired by the then Prime Minister Atal Bihari Vajpayee on January 04, 2003. The vessel is powered by an 83 megawatts (111,305 hp) pressurised light-water reactor with enriched uranium fuel. A land-based prototype of the reactor was first built at Kalpakkam and made operational in September 2006. Successful operation over a period of three years yielded the data that enabled the production version for Arihant. It was reported that an 80 MW nuclear reactor was integrated into the hull of the ATV in January 2008. The hull for the vessel was built by L&T’s Hazira shipbuilding facility. Tata Power SED(Strategic Engineering division) built the control systems for the submarine. The systems for the steam turbine integrated with the reactor are supplied by Walchandnagar Industries. The consultancy for this project was provided by Russia. 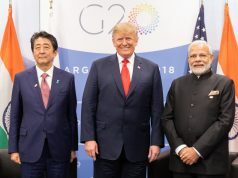 Russia was also reported to have provided assistance to Bhabha Atomic Research Centre (BARC) scientists in miniaturising the reactor to fit into the hull of the nuclear submarine. 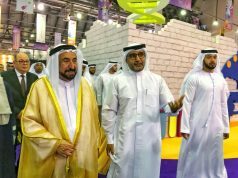 The Prime Minister stated that the people of India aspire for a Strong India and building a New India. He stressed that a strong India will fulfill the hopes and aspirations of over a billion Indians and will also be an important pillar for global peace and stability, especially in a world full of uncertainties and concerns.